Alaska Gov. Sarah Palin has portrayed herself as a foe of pork-barrel spending, pointing in particular to her role in killing the $398 million "Bridge to Nowhere” between Ketchikan (pop. 7,400) and its airport on Gravina Island (pop. 50). I "told the Congress, 'Thanks, but no thanks,'" she said in her speech accepting the Republican vice presidential nomination. "If our state wanted to build a bridge, we were going to build it ourselves." But Gov. Palin’s administration acknowledges that it is still pursuing a project that would link Ketchikan to its airport -- with the help of as much as $73 million in federal funds earmarked by Congress for the original project. "What the media isn't reporting is that the project isn't dead," Roger Wetherell, spokesman for Alaska’s Department of Transportation, said. 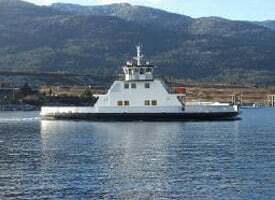 In a process begun this past winter, the state’s DOT is currently considering (PDF) a number of alternative solutions (five other possible bridges or three different ferry routes) to link Ketchikan and Gravina Island. 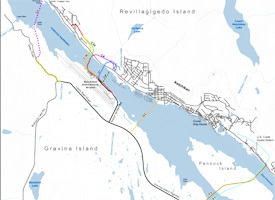 The DOT has not yet developed cost estimates for those proposals, Wetherell said, but $73 million of the approximately $223 million Sen. Ted Stevens (R-AK) and Rep. Don Young (R-AK) earmarked for the bridge in 2005 has been set aside for the Gravina Access Project. Peter Feldman, a spokesman for the McCain campaign, did not respond directly to questions about whether Palin was aware that the project had begun anew or that $73 million in federal funds had been set aside for it. "The fact is that once Governor Palin was elected and had an opportunity to look closely at the project, she killed it," he said in an e-mailed statement. "She fought for Congress to kill the provision, but they sent the funds anyway. Palin fired the kill shot by not using a dime of that money on the bridge." Gov. 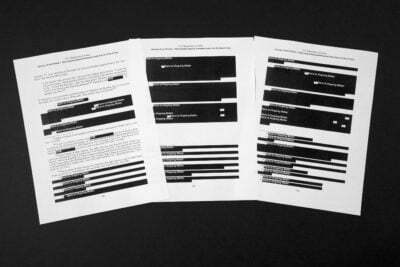 Palin’s state office referred questions about the project to Alaska's DOT. The state has made no secret of its plans to go forward with the Gravina Access Project. A DOT website for the project contains a timeline that shows Alaska's study of the environmental impact of the bridge and ferry proposals is scheduled to conclude by the spring of 2010. One possible alternative, the DOT website notes, is to take "no action." The website, however, makes no mention of the ultimate source of the funding for the project. The massive $398 million "Bridge to Nowhere" was to replace ferry service from the airport to Ketchikan (departing every half-hour), a 15-minute ride -- meaning that air travelers are assured of reaching Ketchikan in no more than 45 minutes. It would have done so in grand style: the planned structure would have been nearly as long as the Golden Gate and higher than the Brooklyn Bridge. But government watchdogs and Sen. Tom Coburn (R-OK) made the project the poster child for wasteful earmarks. The money, they argued, should be rerouted to repair a major bridge damaged by Hurricane Katrina in New Orleans. Coburn's campaign against the "Bridge to Nowhere" didn't succeed in redirecting the money, but did succeed in stripping the stipulation that Alaska be forced to spend the funds on the $398 million bridge design. By the time Gov. Palin entered office at the end of 2006, it was clearly unlikely that Congress would ever approve the funds necessary to complete the project. So in September 2007, Gov. Palin announced (PDF) that the state would no longer proceed with the $398 million bridge design, but she did not end the project, instead directing the DOT to look for the "most fiscally responsible alternative." Sen. Tom Coburn (R-OK) -- who led the fight in Congress to redirect the $223 million to New Orleans -- said he didn’t have any objection to Palin using the $73 million for the project. "If I could have taken all the money away, I would have," he said, "but Alaska gets to do whatever they want to do with that money. "The problem is in Washington, not on the local level," he said. "If you're a governor, and you're sitting in your state and your politicians are telling you, there's a lot of money we can get out of the budget, do you say, ‘No, we want nothing,' or 'Here's a list of projects?'" Gov. Frank Murkowski (R), Palin’s predecessor, was the first to confront what to do with the federal money. He redirected $48 million of the sum to be spent on various state transportation projects. He also, three days before he left office in December 2006, used about $26 million on a contract to build an access road from the airport to the bridge. The road currently leads to a dead end on the shore and is expected to be completed by next week, Wetherell said. But since it follows the prior plan for the bridge, it might prove to be an access road to nowhere. Most of the bridge and ferry proposals being considered by the DOT are located at different places along the coast. A breakdown (PDF) provided by the Alaska DOT of the approximately $80 million in federal funds used on other projects shows that about half the money has so far been spent on 18 smaller projects ranging in cost from $140,000 spent on highway "scenic enhancements" to an $8.4 million highway project. About half of the funds remain to be used on other projects.